You could knit a sweater out of this stuff! 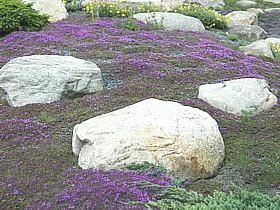 Tiny felted gray leaves form a low cushy mat to a height of 2-3” with occasional tiny pink flowers in summer. 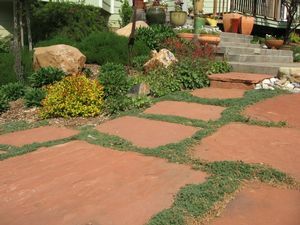 A drought tolerant evergreen ground cover, Thyme is perfect as a low maintenance lawn substitute, in the rock garden, or planted between stepping stones. 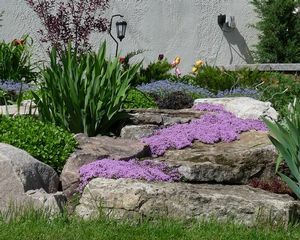 Provide full sun and well drained soil, avoiding wet feet at all times.